We specialise in safely transporting temperature sensitive freight. It’s easy to book a delivery with us, simply complete our online booking form or give us a call! On time and at the right temperature. At Quick and Cool Refrigerated Couriers, we specialise in the transport of refrigerated and frozen foods on time and at the right temperature. 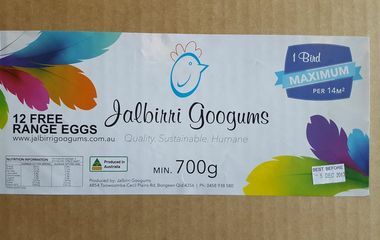 We work closely with our customers to ensure that products are transported, stored and distributed in the designated timeframe and under the specified cold chain conditions and in keeping with Safe Food Qld guidelines. Our team understand that we are completing the ‘last mile’ of your delivery, and are the face of your business when delivering goods to their final destination. Our specialist refrigerated / freezer delivery vehicles enable us to cater for deliveries ranging from a sample box to pallets within Toowoomba & Darling Downs, Brisbane, Ipswich and Lockyer Valley, and the Gold Coast. Why choose Quick & Cool? Have you seen our new branding? Goods ready to go? Request a booking! Please complete the form and we will call you asap to confirm your booking.